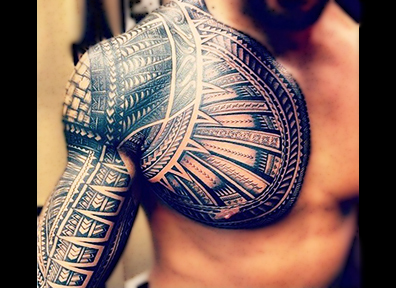 Old School Tattoos, also referred to as Traditional American Tattoos is an American Classic style, probably the oldest form of tattooing of the modern world, after the ancient tribal tattooing techniques. 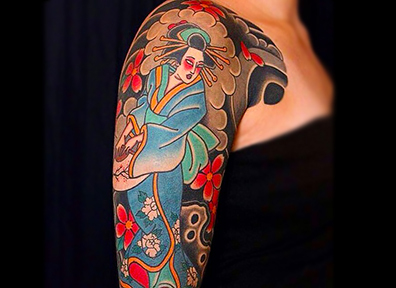 This classical tattoo style is characterized by its bold & clean black outline (which works as a physical barrier keeping the colour pigments inside the lines), the use of well saturated, solid colours in a limited palette (mostly primary colours such as blue, yellow & red), little details & extreme precision. 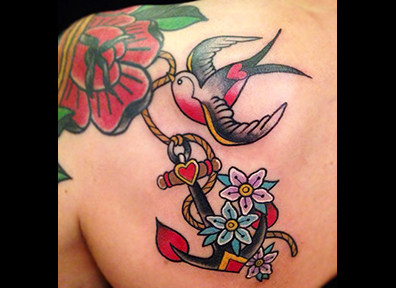 If done correctly & with proper aftercare, Old School tattoos will stand the test of time & require very little touch up over the years. 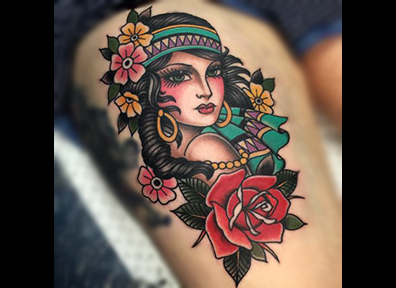 Popular Old School themes include Native American, Roses, Nautical, Pin Ups, Hearts, Swallows & Sparrows, Skulls, Eagles, Daggers, Navy & Other Armed Forces. 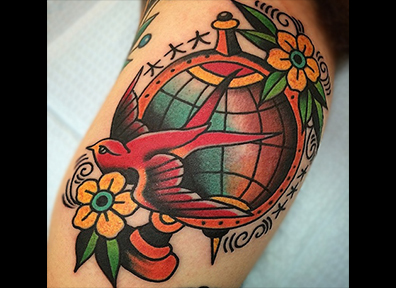 The New School Tattoo Style is the natural evolution of the Traditional American style made possible by technology & greater understanding of tattooing techniques. 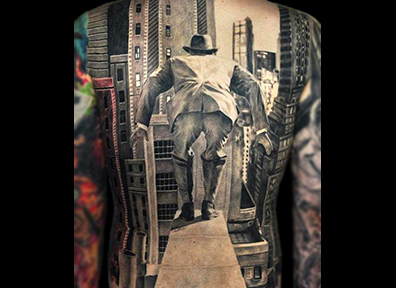 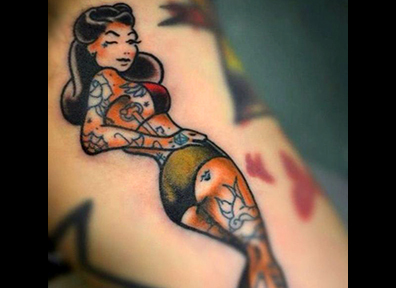 The Old School Tattoo style was popularized in the 1930’s when knowledge, technique & equipment were limited. 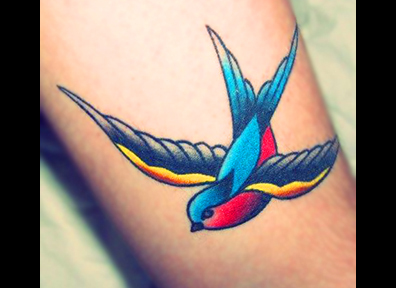 The style itself (bold lines, limited choices of design & colours) was born out of the limitations of the times. 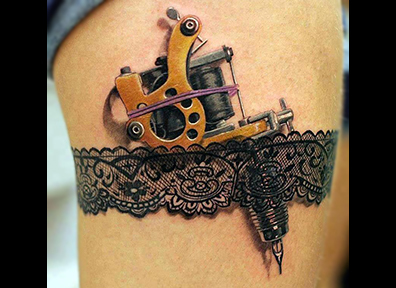 Today, with modern technology & more intricate tattooing techniques, the tattoo artist is limited only by his or her own imagination! 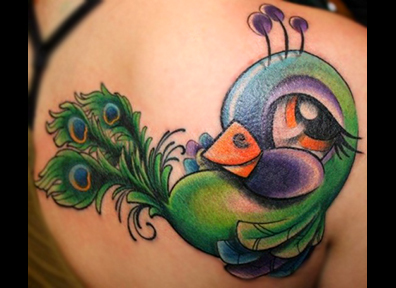 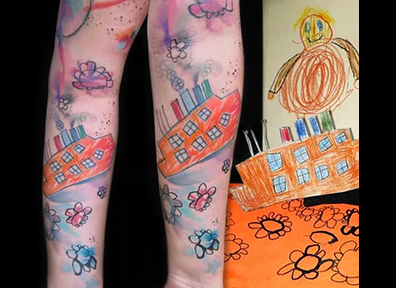 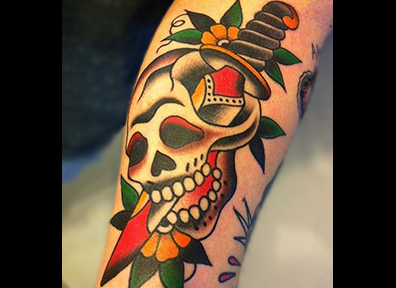 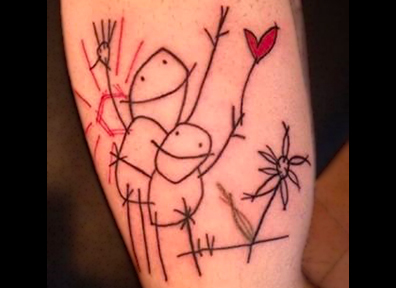 The New School Tattoos are eclectic & imaginative. 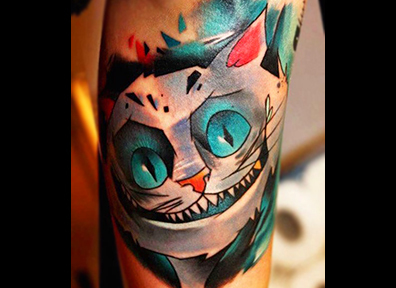 The tattoo artist’s inspiration ranges from cartoon, watercolor paintings, graffiti, hip hop, fantasy & everything in between. 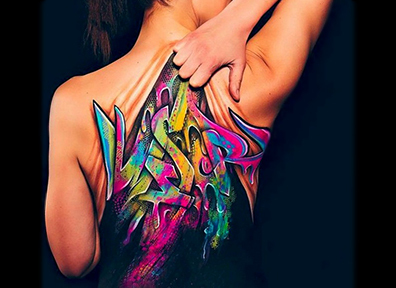 For the wearer, it is unique body art that no one else has. 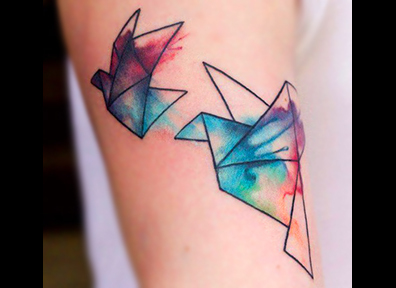 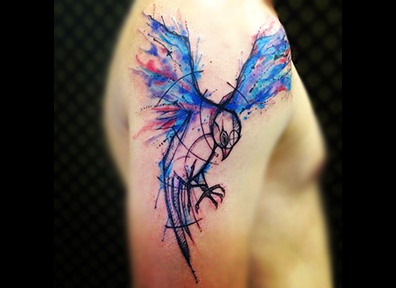 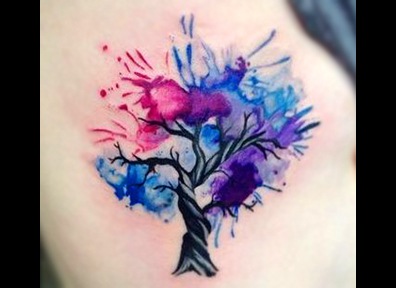 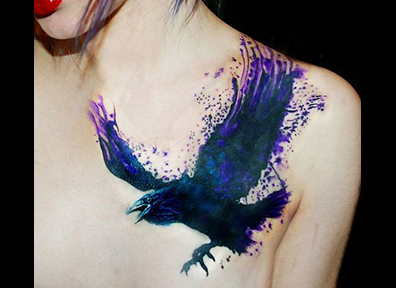 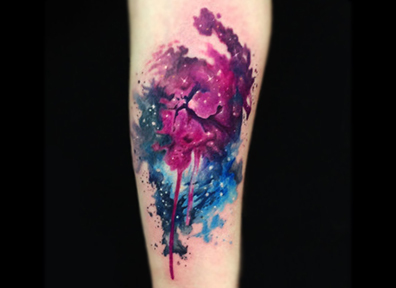 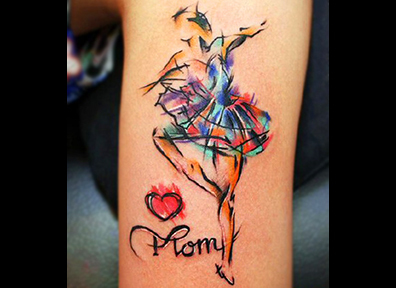 Watercolor Tattoos are an emerging trend with challenges that must be considered by anyone thinking of getting one. 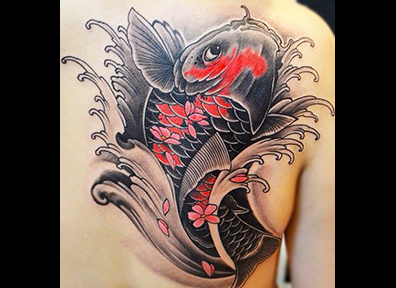 There are fundamentals necessary to create not only a beautiful tattoo, but a lasting one & if you want your tattoo to stand the test of time, contrast & black outlining are a must. 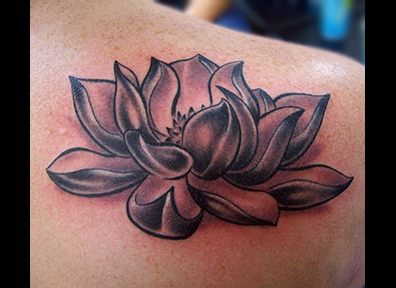 Most colored inks are pigment based but black ink is carbon based & while most tattoos will fade over time, when black ink is used as an outline or shading, it becomes hard & creates a barrier that keeps pigment from spreading, thus reducing fading. 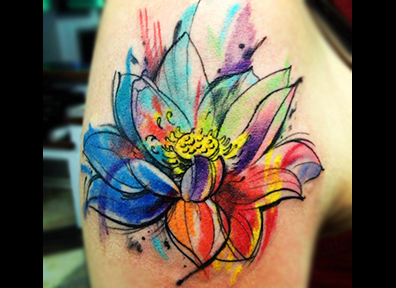 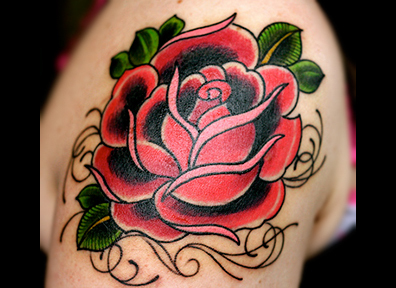 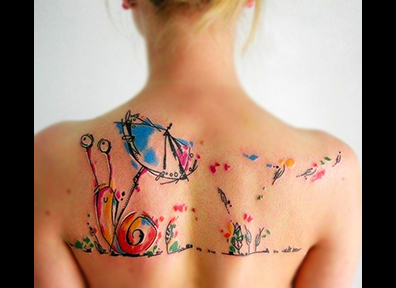 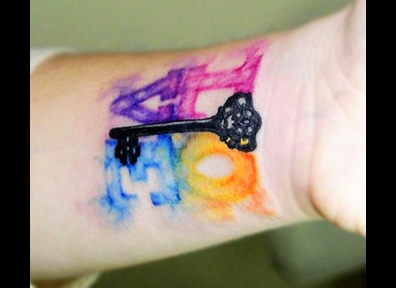 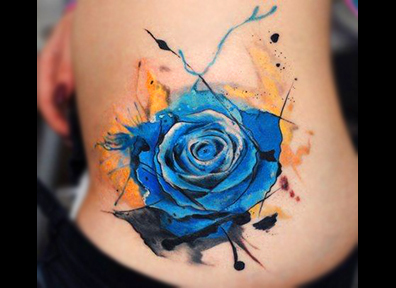 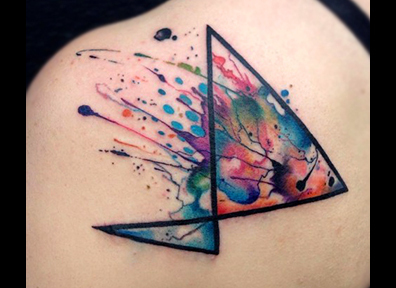 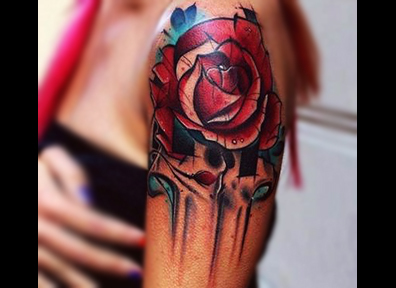 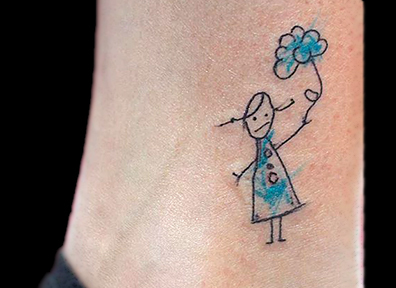 Watercolor tattoos typically lack outlines & without them, the pigment bleeds & loses more vibrancy over time. 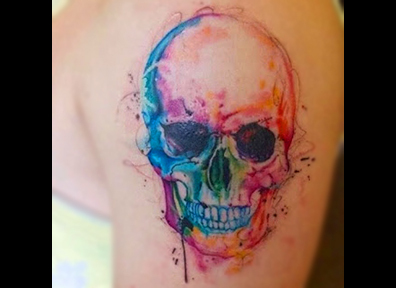 So if you are considering a watercolor tattoo, make sure you choose bright, high contrast colours & add some black lines in there for good measure! 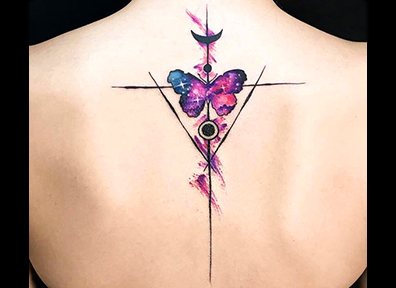 Because black tattoo ink fades much less than colored ink, many tattoo enthusiasts prefer using only black ink for their body art in an effort to limit the unavoidable fading that happens to all tattoos over time. 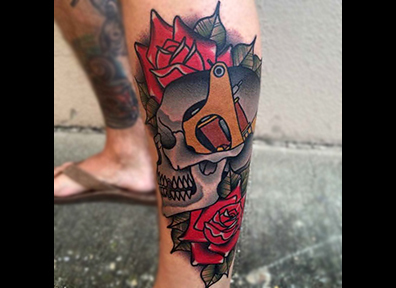 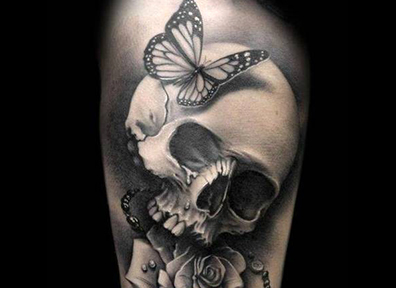 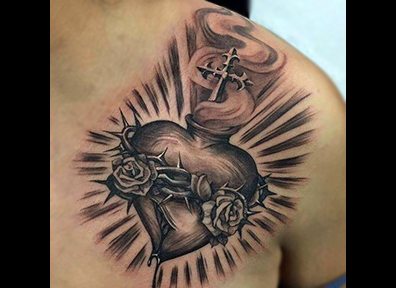 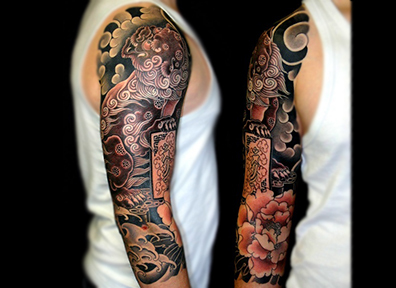 The Black & Grey Tattoo is a genre that encompasses a wide variety of styles including many of the Old School Tattoo designs such as Guns, Roses & Skulls, as well as other styles like Japanese Tattoos, Realistic Tattoos, including Portraits & of course, the timeless Religious inspired Tattoos. 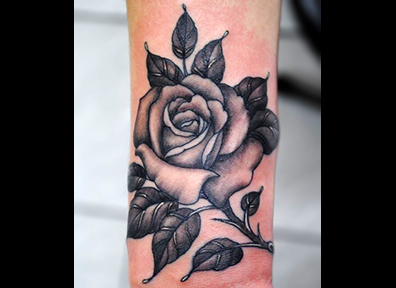 The traditional method for creating different shades of grey is to dilute black ink with distilled water but some tattoo artists also mix the black with white ink. 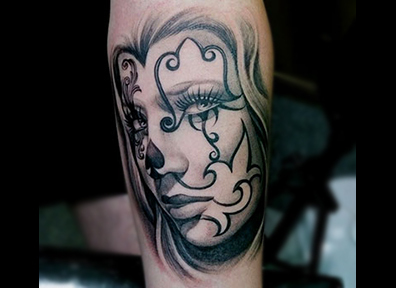 White can also be used to smooth out sharp transitions between shades & as a highlight. 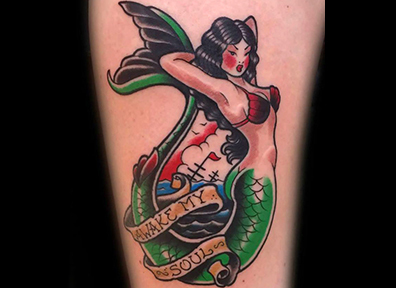 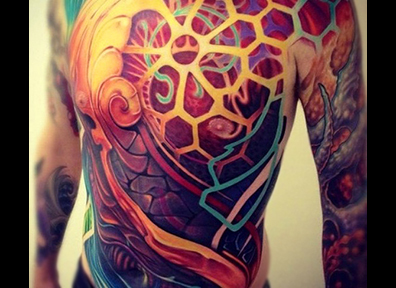 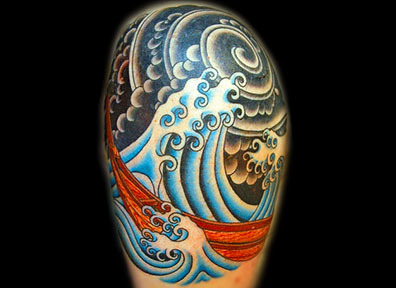 It is believed that this style of tattooing originated in prison, where inmates had limited access to colored ink. 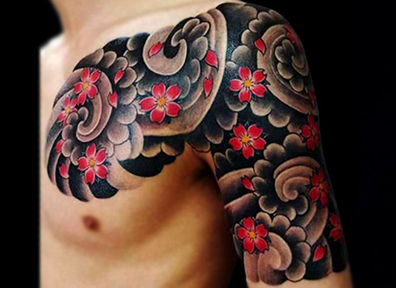 Japanese Tattooing is an ancient & sacred art. 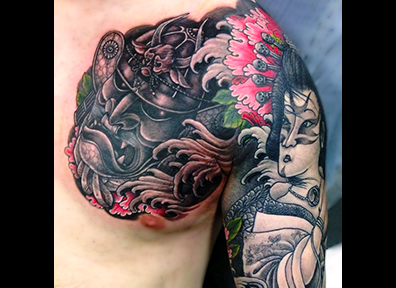 The Traditional Japanese Tattoo style follows specific artistic rules concerning the imagery used, positioning of the design as well as the colours chosen. 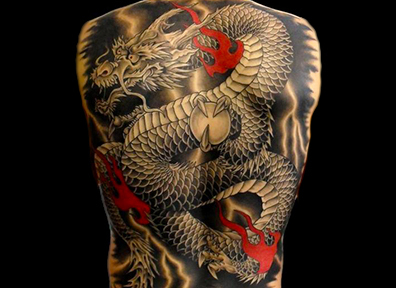 In many cases, the subject, its orientation, placement on the body & colours, all have a specific meaning if one follows the ancient tradition of the Japanese Tattoo Art. 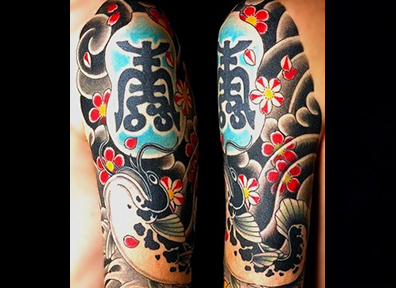 The traditional imagery of the Japanese Tattoo Style includes Koi fish, Dragons, Cherry Blossoms, Waves, Geishas, Tigers, Samurai & Kanji (lettering). 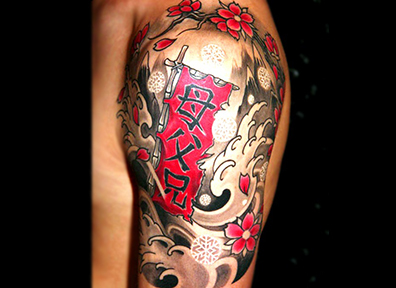 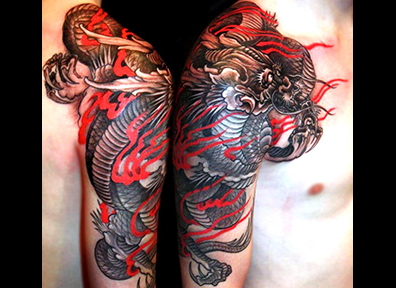 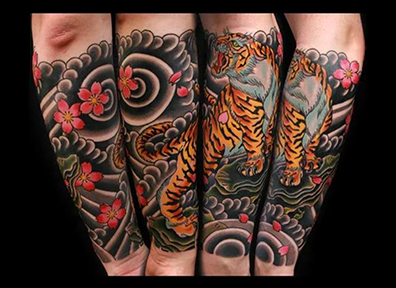 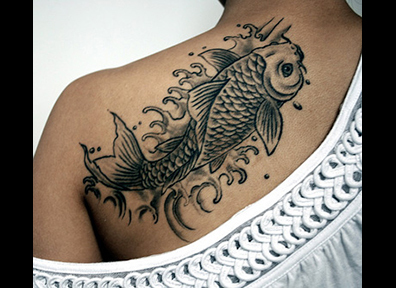 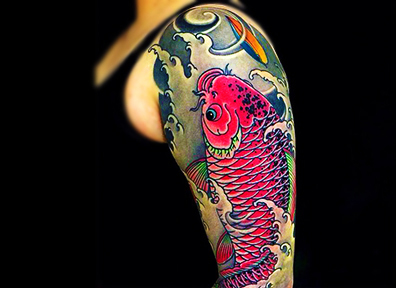 Japanese Tattoos are usually big, covering large areas such as the entire arm, back or leg. 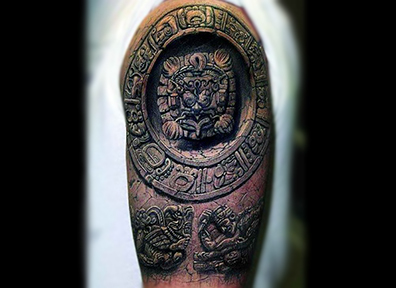 They are also often very detailed, colorful & have an extremely rich background, making them complex, powerful & intriguing tattoos. 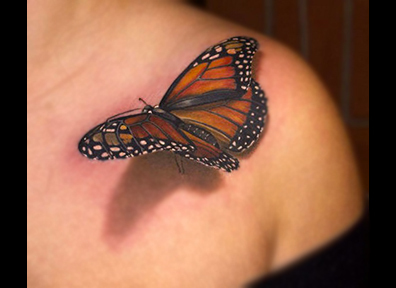 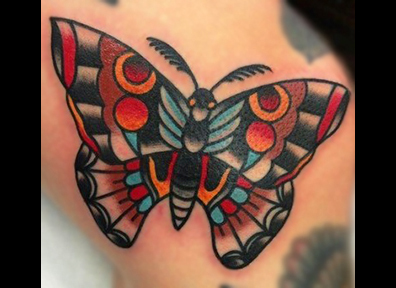 Realistic Tattoos are tattoos that basically look exactly like they would in real life whether it’s a rose, a skull, a butterfly or the photo of a loved one or a beloved pet. 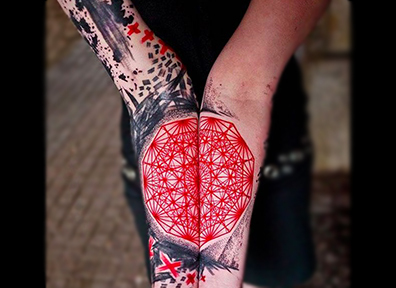 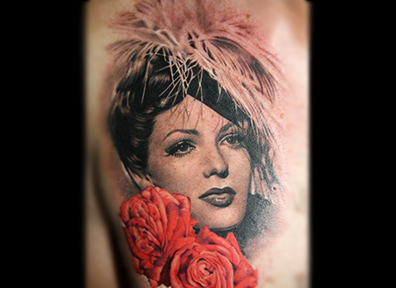 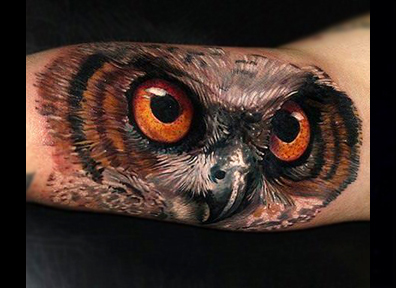 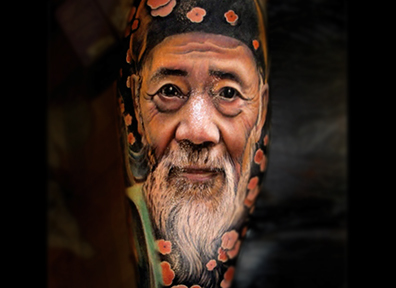 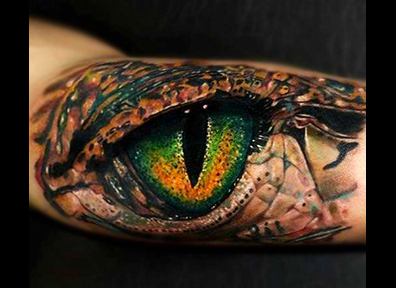 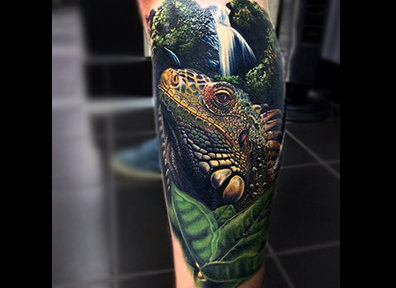 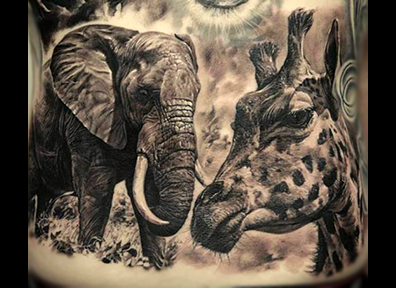 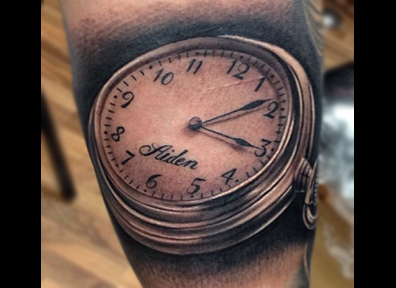 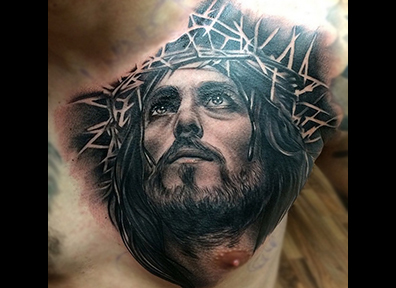 Realistic Tattoos are a fine art skill & done well will look like photographs on the skin. 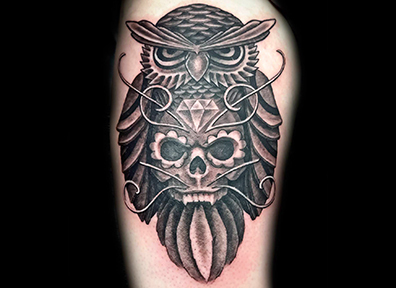 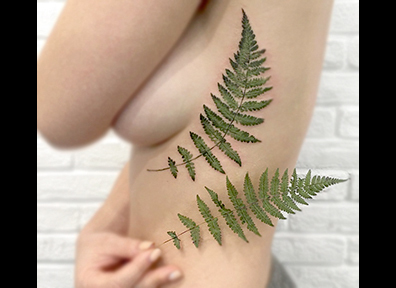 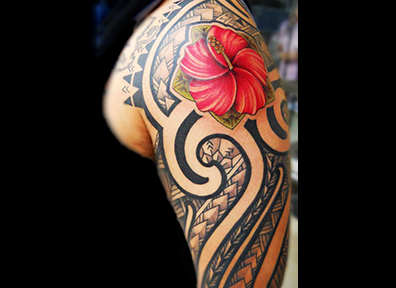 To get good result, it’s obviously very important to have an excellent photo reference & of course, to pick a skilled tattoo artist who has experience in Realistic Tattoos. 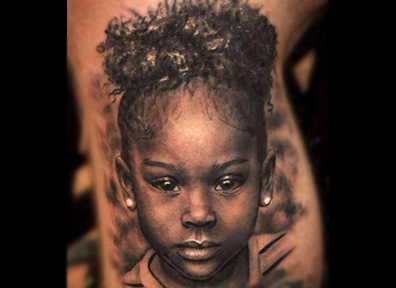 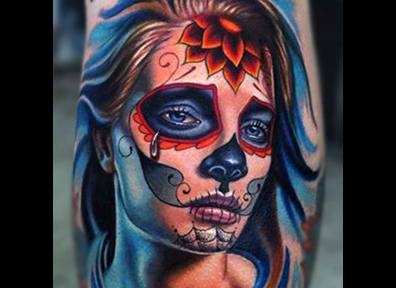 This style of tattoo requires an enormous amount of talent, experience & knowledge, so don’t cheap out because you do get what you pay for when it comes to realism, & a cheap Realistic Tattoo or Portrait Tattoo can look pretty wack! 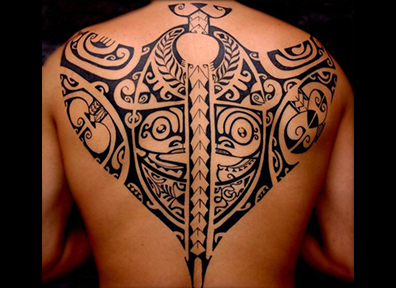 Maybe the oldest tattoo style; Tribal Tattoos are almost always black & often use symmetry, thick lines & geometric patterns. 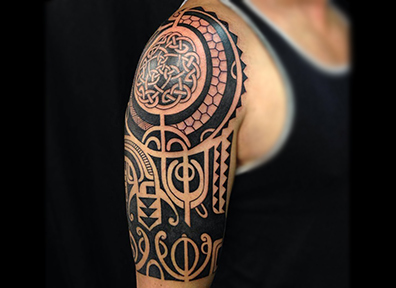 In ancient times, tribal tattoos were used by cultures such as the Aztecs & the Mayans for things like identifying as a certain tribe member, showing social status or expressing spiritual beliefs. 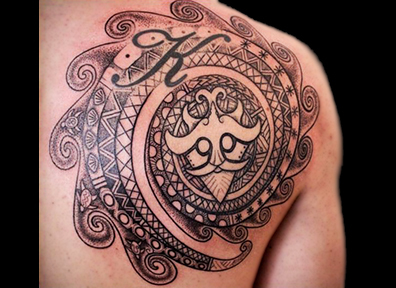 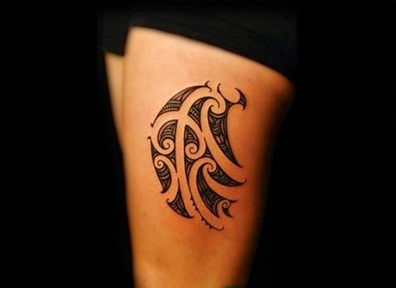 Today, the design of the modern Tribal Tattoo is inspired by the ancient tribal art, but can be as simple or as complex as one wants it. 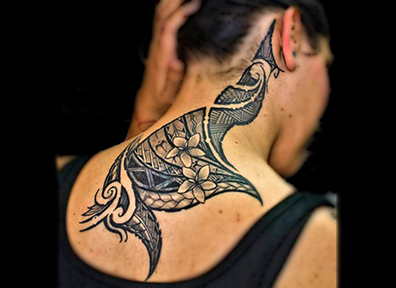 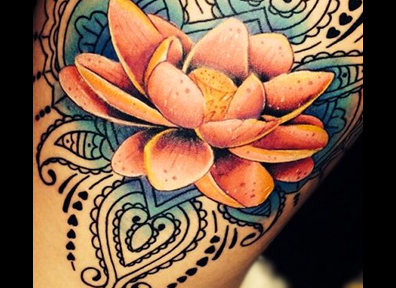 Nothing is really considered wrong when it comes to Tribal Tattoos; you can even integrate multiple colors or images like lotus flowers, stars, or whatever else strikes your creative fancy! 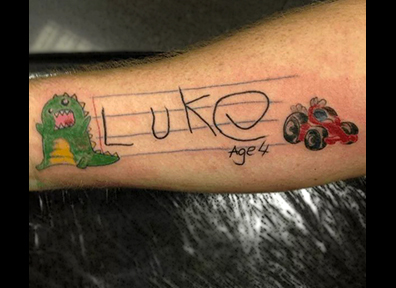 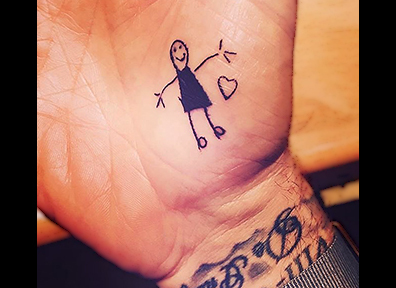 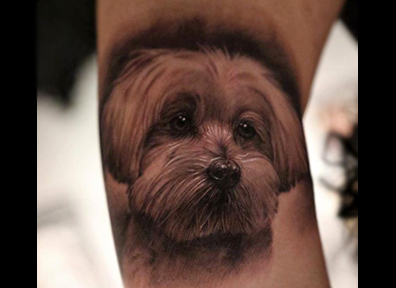 The Personal Tattoo is a really cool trend that involves tattooing a loved one’s handwritten note or drawing or even a replica of a beloved pet’s paw print. 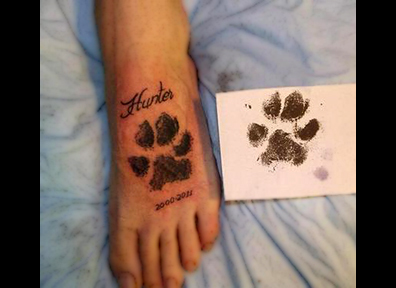 It is obviously very popular amongst parents but also with pet owners looking for creative ways to commemorate their best friend. 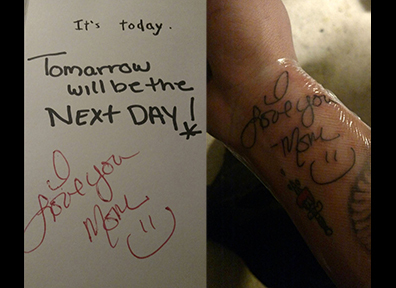 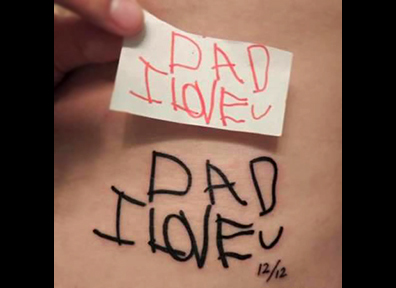 Many people also tattoo notes from family members or close friends, as an homage or a way to remember someone who is gone. 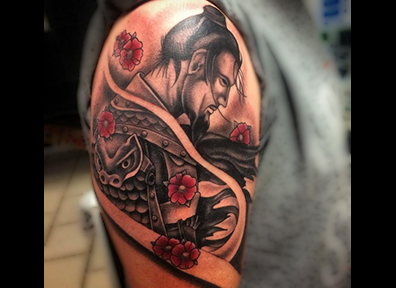 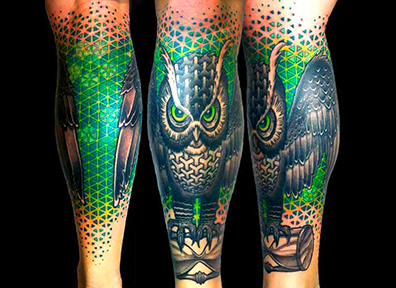 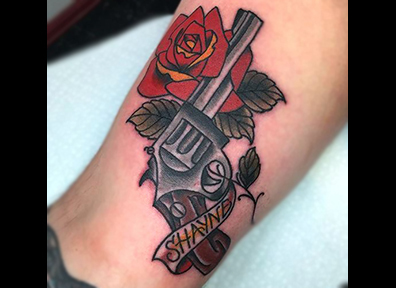 The skills required to execute these very personal tattoos are similar to those needed to create Realistic Tattoos so precision, attention to details, talent & experience are all qualities that you will be looking for in your tattoo artist for this kind of ink. 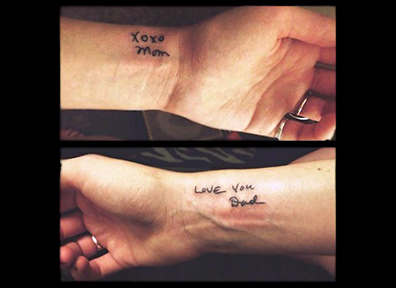 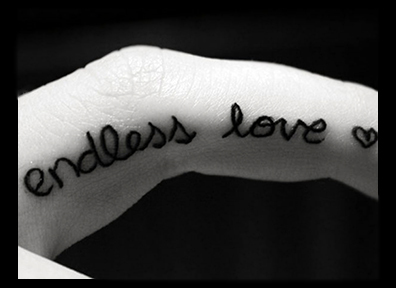 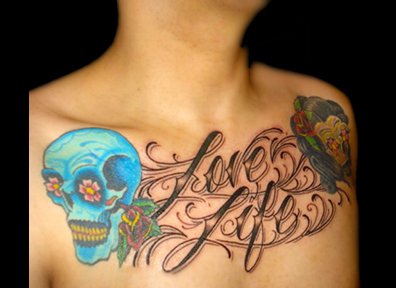 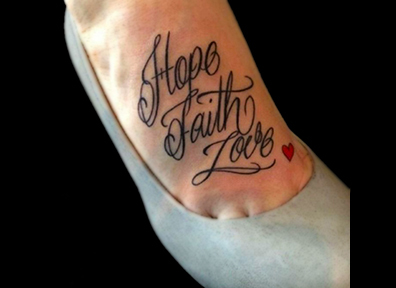 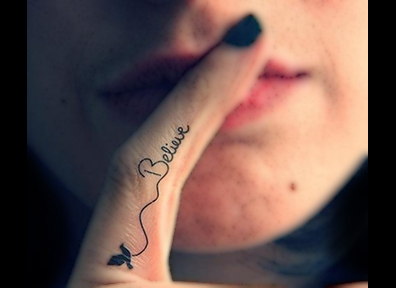 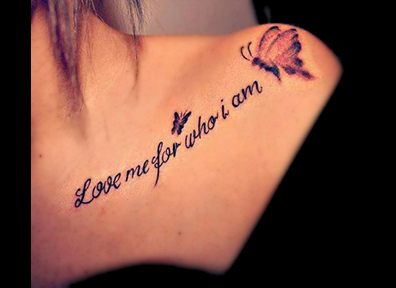 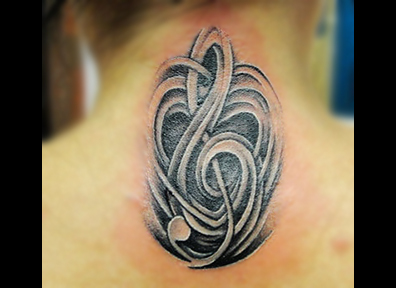 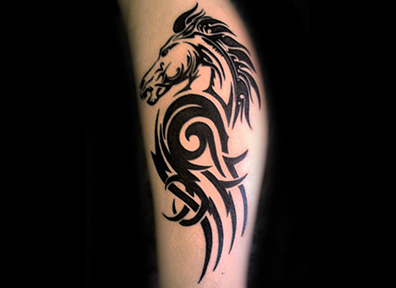 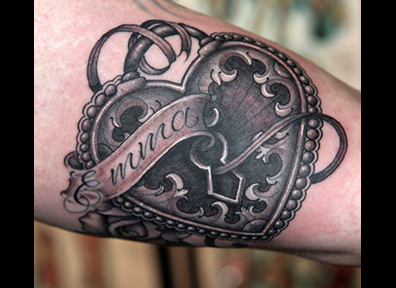 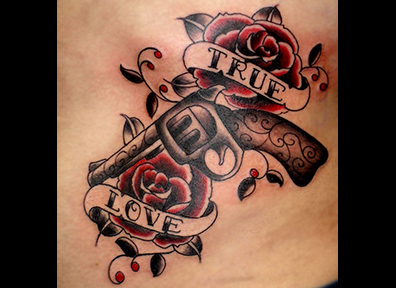 Script Tattoos are, as the name says it, written words tattooed on someone’s body. 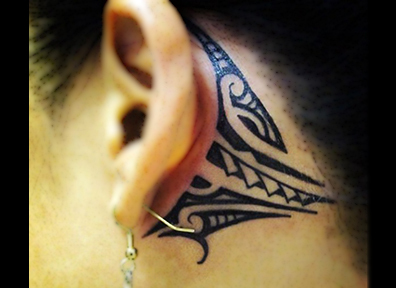 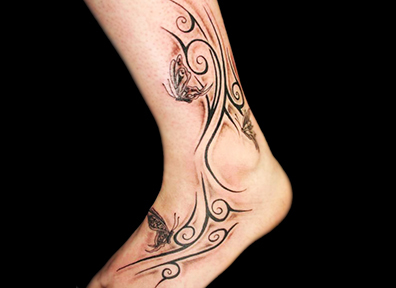 This tattoo style takes many forms & crosses many of the previous styles. 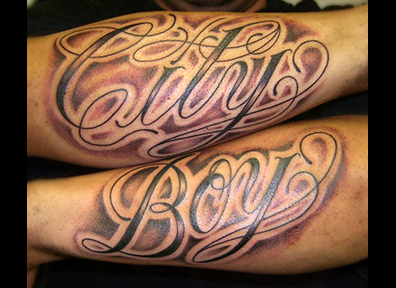 The colour of the text is usually black, but not always & the font can be modern, gothic, swirly, intricate or simple, it really depends on personal preference. 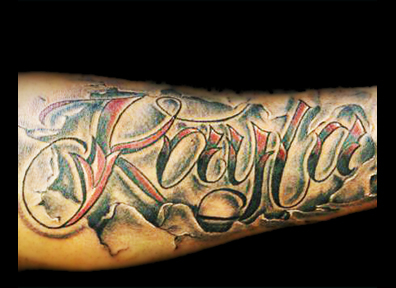 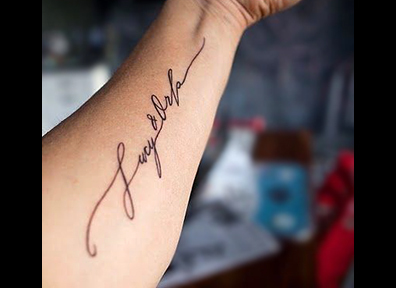 A good script artist will be able to create a completely custom tattoo just for you without having to use a downloaded font. 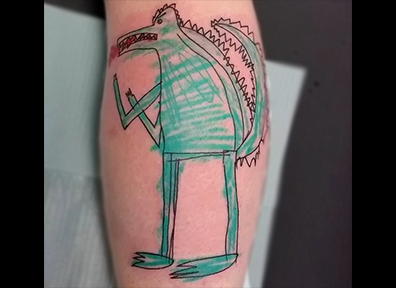 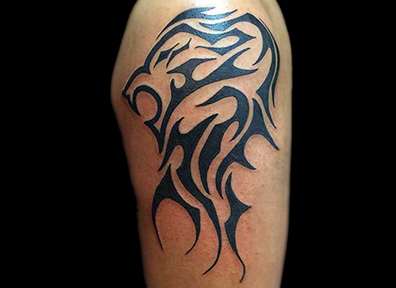 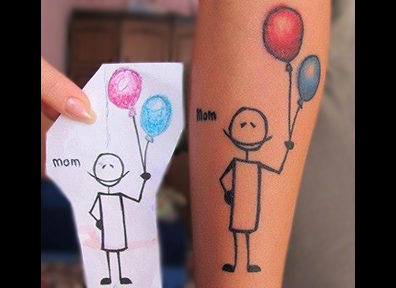 If you are thinking of getting a scripted tattoo, keep in mind that over time the ink bleeds & the lines become blurred. 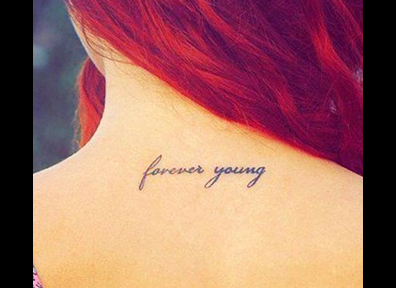 If your font is too small or the color you choose to light, in 20 years from now, you might not be able to read your awesome tattoo anymore! 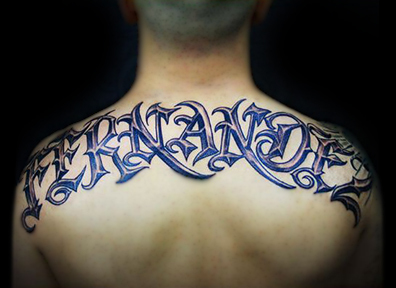 Be sure to discuss this with your tattoo artist before you go ahead with your next script tattoo.